Moving elements can bring your content to life. Animiz gives you a chance to add move animation effects to element without any difficulty. 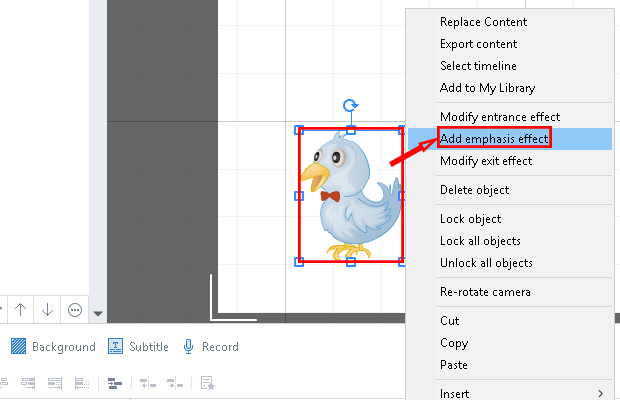 You are also empowered to edit the move animation effect to customize the move path. 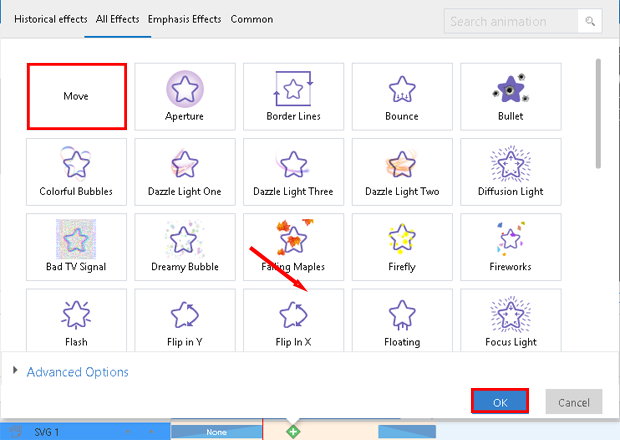 Below are detailed steps to guide you to add and edit move animation effects in Animiz. 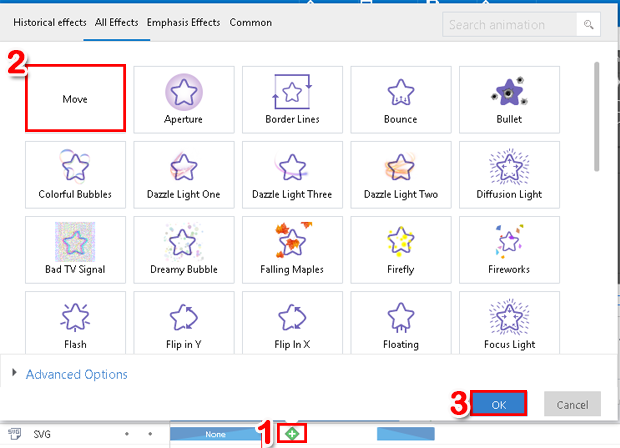 Click the "+" icon at the object’s row of the timeline, select "move", click "OK"
Select the object, right click to select "Add emphasis effects", select "move", and click "OK"
select "move", and click "OK"
Click the object that you have added move animation effects to. Drag the object image on the right to any location that you hope the object moves to. Then the object will move along linear path to the location. You can preview this effect by moving the headplayer. 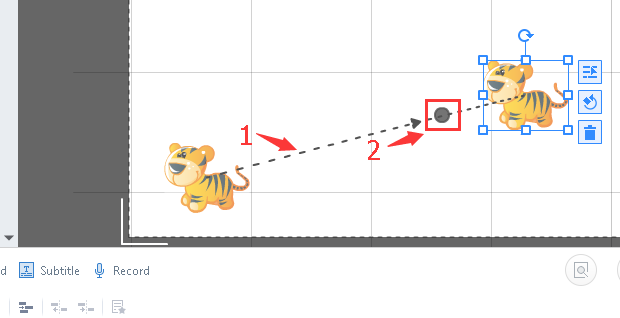 Next：How to adjust different objects’ animation play order?